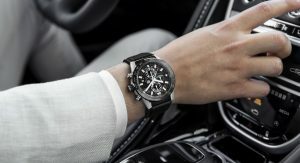 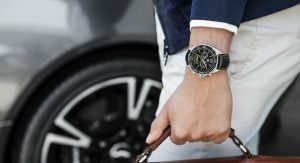 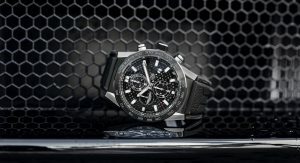 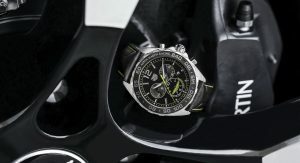 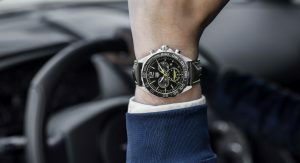 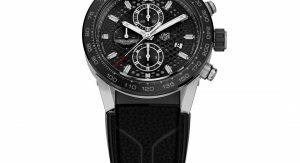 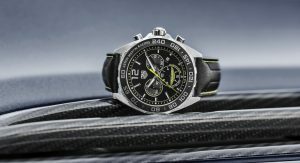 Aston Martin and Tag Heuer have collaborated once again, and their partnership has given birth to a special edition timepiece. 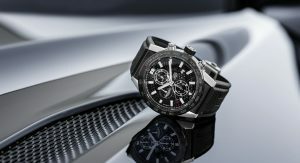 Called the Tag Heuer Carrera Calibre Heuer 01 Aston Martin Special Edition (now, that’s a mouthful…), it’s said to have been “inspired by the geometric shapes of an Aston Martin sports car”. 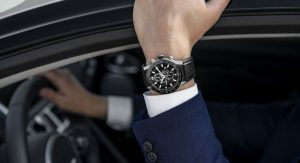 Reflecting the “automotive spirit of the partnership”, according to the British car marque, which was announced at the 2018 Geneva Motor Show in March, the watch “draws a direct vision from the colors, shapes, patterns and materials of an Aston Martin”. 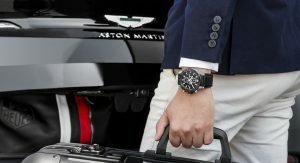 The ‘Aston Martin’ lettering has been engraved on the bezel and the logos of both companies have been incorporated into the face of the watch, which has a 45 mm (1.77 in) solid steel case. 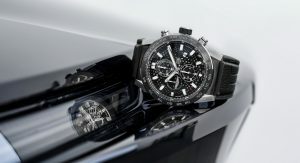 The automaker claims that the overall patterns and inserts evoke the race track, speed and pistons, whereas the dial’s skeletonized in a hexagonal pattern that is supposed to recall some of the details of the new Aston Martin Vantage. 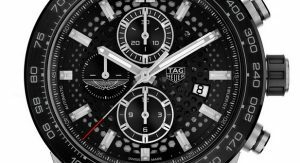 The Aston Martin Special Edition is already available at Tag Heuer retailers, in stores and online shops, and has a recommended retail price of £5,250 in the United Kingdom, equal to $6,816/€5,942 at today’s exchange rates. 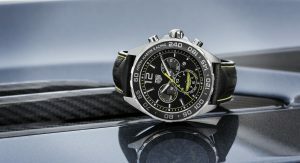 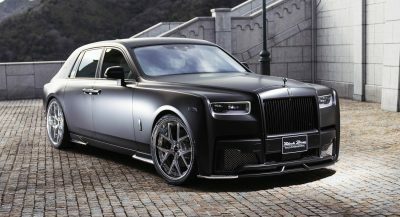 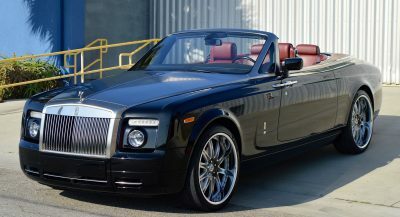 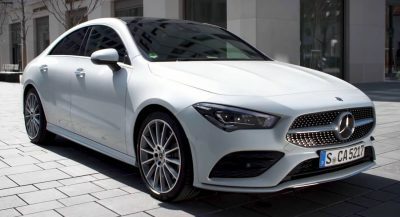 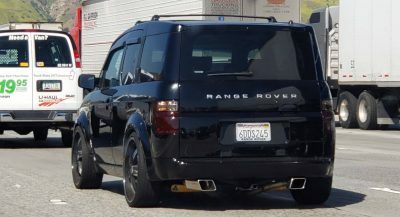 The other one shown is the Formula 1 Aston Martin, a lot cheaper, at 1.500 euros.